Starting right now, you can download The Evil Within 2 Free Trial on PS4, Xbox One and PC and play through the terrifying opening chapters of the game. At the end of the trial, if you choose to upgrade to the full game, all of your save data will carry over, allowing you to pick up right where you left off. In these first chapters you’ll have the opportunity to explore some of the game’s tight, nightmare-riddled, linear experiences, as well as the more open streets of Union. You’ll also have full access to Sebastian’s customization options, so you can start building the best Sebastian for your playstyle. 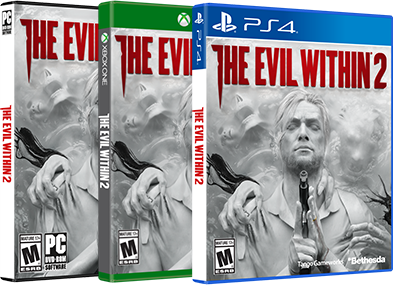 The Evil Within 2 is now available on PlayStation 4, Xbox One and PC and has received high praise from critics. As Sebastian Castellanos, you’ll have to dive into hell once more in the sequel to the hit 2014 survival horror game from the mind of Shinji Mikami. Take on twisted creatures in horrifying domains and face off against your own worst nightmares as you race to save your daughter.